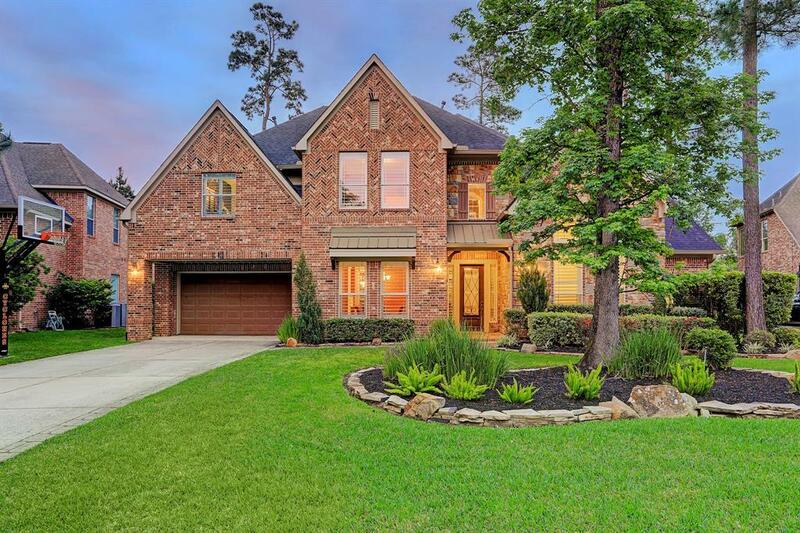 Stunning home with a backyard paradise that includes a pool & spa with rock waterfall, outdoor kitchen, covered patio, firepit, lush landscaping & no back neighbors! Home features 5 bedrooms, 3.5 bathrooms, media room, gameroom, balcony & 3 car garage. Gourmet kitchen with large island, double ovens, stainless steel appliances, built in desk & Butlers Pantry that leads to the formal dining room. 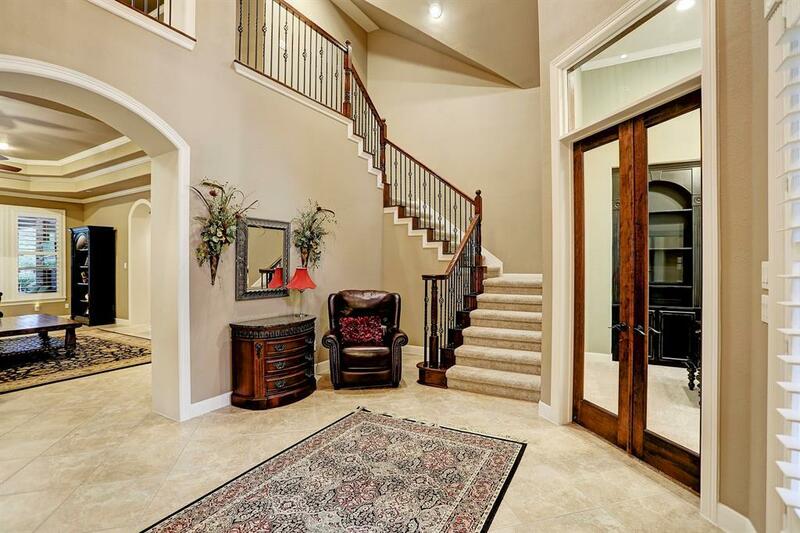 Custom built ins, cast stone fireplace & coffered ceiling in the family room. Built in wine storage & wine fridge. Study enclosed by French doors. Master suite on the 1st floor with dual granite vanities, jetted tub & oversized shower. Gameroom features a kitchenette & access to the covered balcony that overlooks the backyard. Built in desk off of the gameroom. Media room with custom built ins. Plantation shutters. 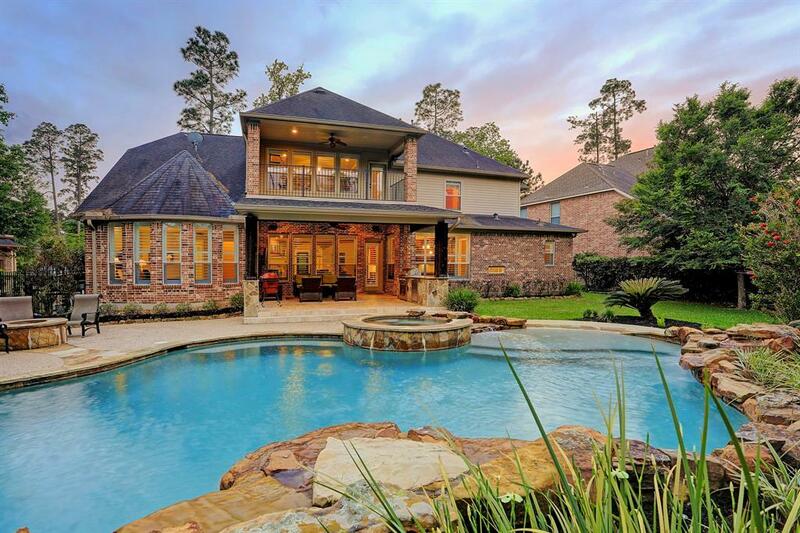 Gorgeous, private backyard. Don't miss this one!